Hairballs can be quite distressing to observe and also messy to clean up. They are a common problem in cats - especially longer haired cats. If there are concurrent clinical signs it is important to get your cat checked by a vet to rule out any other problems. 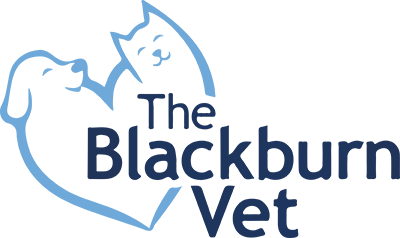 Your vet will be able to recognise and treat the cause of the hairballs and prevent further complications. What is a cat hairball? A hairball is as it sounds a ball of hair or fur. When a cat grooms themselves, they are effectively removing all of the loose fur in their coat. The hair is caught on the surface of their rough tongue and subsequently swallowed. Most hair should pass through the gastrointestinal tract without issue, but sometimes it can accumulate in the stomach. When this happens, the outgoing part of the stomach (the pyloris) becomes blocked; food cannot pass through and will instead be vomited back up. This vomitus will generally contain primarily hair but can also be semi-digested food by itself. As the food and hairball needs to come up the tubular structure of the oesophagus, it will often retain the shape of a tube, with the hairball appearing to be more like a matted tube than a ball. A feline’s gut is designed to process fur, its own as well as the fur attached to prey animals, and as such we should not really see repeated hairballs in a healthy cat. If you have noticed your cat bringing up hairballs or coughing like they are going to, then a trip to the vet is a sensible starting point to rule out any of the causes listed below. If your cat shows any of these signs repeatedly for more than 24 hours please see your veterinarian. In the severest of situations a hairball can cause a blockage of the intestine. Symptoms may then include repeated vomiting, abdominal pain and discomfort and will require urgent veterinary attention. Hairball control foods and treats – these have added fibre to help bind the hair and stimulate the intestine to aid in eliminating hairballs. Additional brushing of the coat with specially designed brushes to remove as much loose hair as possible, subsequently reducing the volume of hair ingested. More recently the focus has shifted, and it is now recognised that hairballs are a symptom rather than a problem in their own right. The aim is to identify any underlying cause with either the gastrointestinal tract or the skin and treat accordingly to improve outcomes. In summary, recurrent hairballs should not be seen as normal in an otherwise healthy cat. It may indicate that there is an underlying problem that needs to be assessed and treated by your veterinarian. Please call to make an appointment if you have noticed your cat has had hairballs or you are unsure why they have been vomiting.